Craving for good North Indian Food has made me try all those amazing staple dishes which are so common in northern part of the country. Amritsari Fish Fry is one of them and I have always wondered how do they make that marinated fish on the road side 'thelas' in Punjab, especially in Amritsar where it originated. It is a real staple in Amritsar or Punjab like you have chaat in Delhi or 99 Variety Dosa in Bangalore. Punjab has 5 rivers so all the fish is river water fish. 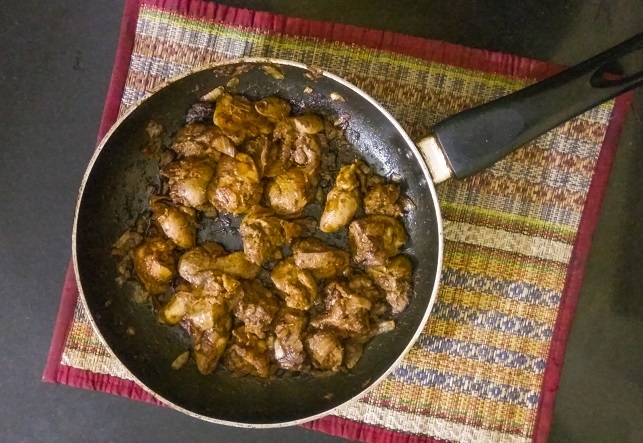 Ever since I have moved to Bangalore, I haven't found good food as per my palette and now I make those basic ones like Chicken Curry, Tandoori Chicken, Afghani Chicken, Chicken Malai Tikka and many more at home. They are healthy and taste even better as I make them with authentic ingredients rather than cheap alternatives. Fish is another thing that I have started enjoying but purely in form of fried fish. Somehow I do not like Fish curry. But I love fried fish so much. One of the reasons I love fish it is that it is one of the easiest of non vegetarian foods. One that that I usually make is Tawa Fish Fry. But this Amritsari Fish Fry is totally different thing. The taste and smell of Ajwain in the batter and sourness of lemon juice and Vinegar which has seeped inside the fish is a simple blast of flavours. Ajwain has another purpose apart from adding to the taste, it counters the gastric that is produced by combination of Fish and besan (Gram flour). But that's cooking, science and art both, isn't it? 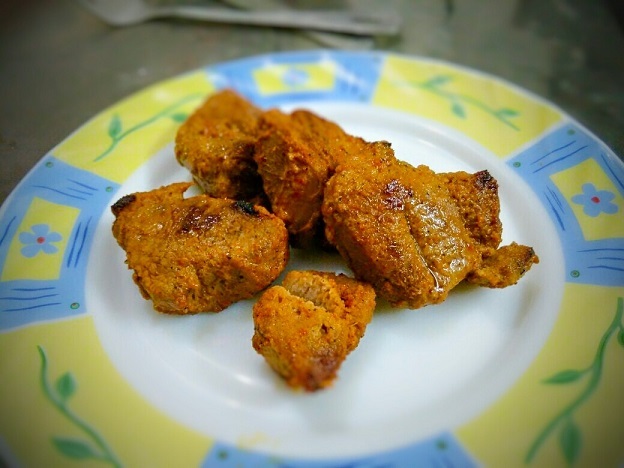 Take a look at Amritsari Fish Fry that I make this weekend. Doesn't it look awesome? Trust me, make it in the day, chill your beer and you will thank me for the idea! Let's see how can you make Amritsari Fish Fry, I am sure you know how to chill your beer. Famous in Amritsar (Punjab) in India, this is simple yet full of flavours and a perfect snack. Take fish fillets in a bowl. Add salt, lemon juice, red chilli powder and ginger garlic paste and mix well. Leave it for 20 minutes to marinade,. This will ensure that that spice and lemon seeps into the fish. Now add besan, vinegar, ajwain, curd and egg. Mix well and leave for marination for 10 more minutes. Egg will help in giving crispness to the fish. Now heat the oil and deep fry the fish till it is golden brown, a little darker shade of brown actually. When deep frying I use the a simple method, fry on medium first so that it gets cooked from inside and then turn up the heat to give that crispness. Amritsari Fish fry is ready, serve it with onions, green chutney. Don't forget to squeeze a lemon on onions and may be little chaat masala on the fish. Oh, must not forget the Beer that is chilling in the fridge. Hope you loved the recipe. 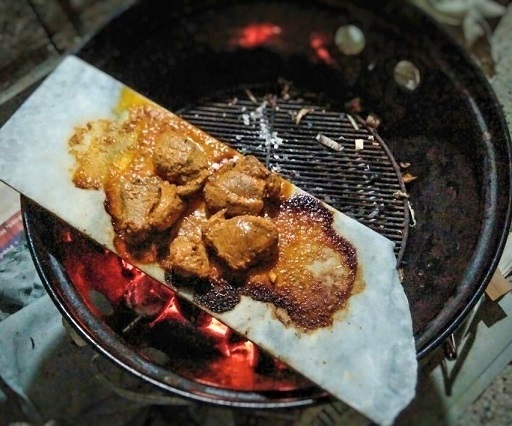 Ask a Delhi guy like me what's my favourite snack to go with drinks on chilly winters nights while going boom boom with music in his car, answer will be Tandoori Chicken or Afghani Chicken. While Tandoori Chicken is little spicy, Afghani Chicken is for who love mild spices but is yet rich, juicy and succulent. Marinated in rich cream with other spices, it is grilled in tandoor (clay oven). Trust me, it is heavnly. Put more cream in it and you can reach sevneth heaven of culinary world. I moved to Bangalore a year back and despite trying many places to satisfy my craving for good north indian food, I finally decided it was time to make it at home as I was unable to find anything with same taste that you get in Delhi. I have tried many, Tandoori Chicken being on of the, you can find the recipe here. But Afghani Chicken was always on my bucket list and finally it is checked. Yay!! But I did not try the conventional Afghani Chicken which is done with big chicken pieces with bone. I did the Afghani Chicken Tikka which is without the bone. A similar one I have tried earlier was Chicken Malai Tikka (Recipe link here) which is almost as good but different in taste. See, how delicious it looks. Mainly it is white in color, has little color because of barbecue and it is done medium rare which means it is super juicy and melting soft inside. I will now take you straight to the recipe so that you can stop drooling. Afghani Chicken is a famous dish up in north made with mild spices and paste of cream and Cashew nuts. 750 gms Boneless Chicken cut into small pieces. First Mix all these things and marinade for 30-40 minutes. Now you can grill it in Oven or over a charcoal or electric barbecue. If you are doing it in Oven, pre-heat the oven first. Roast it at 200 degrees for about 15 minutes while turning half way through and basting with butter. Use the same method in Microwave if it has convection mode. 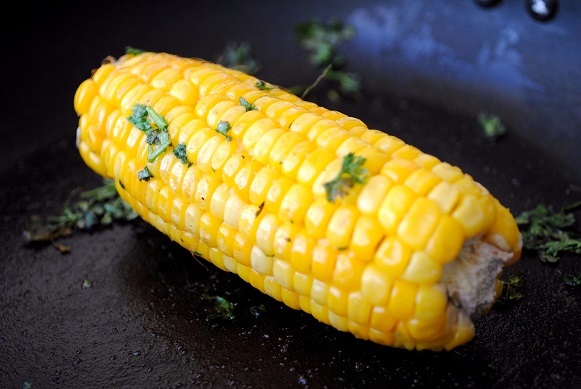 It is best to do on charcoal as you can turn it over as and when and keep basting butter to keep it juicy. You just need to do it like 5-7 minutes on each side on direct heat. Take it off the heat and let it rest for 5 minutes. Resting is very important as chicken is still cooking off its own heat. Resting helps in all the juices settling down and this is a very critical step. 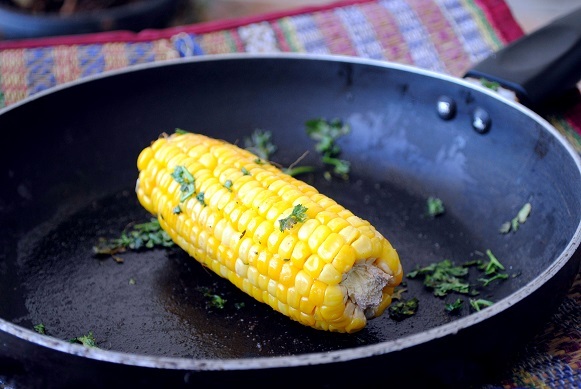 Serve it with Onion and green chutney. Now how easy was that. For this obviously you need special equipment like Convection, Oven or Barbecue but let me tell you it is worth it. Do try it! Hope you will try it and enjoy the same. If there is one thing I really drool over is kebabs getting smoked over charcoal. The juicy, succulent, melt in your mouth kebabs just make you fall in love with them so much that you cannot get enough of it. The love is like teenage love where you want to see your beloved again and again and you will go distances to see her, or him for that matter. Best mutton seekh kebabs I have eaten is in Karim's. They are little spicy and soft and very juicy. Though I do not know how they make it, but I came across these Adana Kebabs while going through the net. It is a Turkish kebab which has two specific ingredients, red bell pepper and cumin. Cumin is something which you will find in any Turkish dish. So, I made them at home on my Weber barbecue and enjoyed them with home made Butter Naans. Here it is below. Day before yesterday I has posted about Toum Chicken which is sort of fusion of stir frying and Lebanese cuisine. It sure was yummy, do check it out by clicking on the link. It was full of garlic flavor and it being one of my favorite ingredients, I tried something else too, Chicken in Petso Sauce. This was another attempt to make something for my kiddos and my niece who were asking for chicken!! Many of you might know how to make Pesto Sauce, but still I would share it again how to make it for those who don't know. I used a very similar method to the Toum Chicken, but the flavor was totally different even though it was filled with Garlic along with Mint and Basil. This is another super 'quicky' dish which you love to have once in a while!! Am I right? Quick and pleasurable!! Ok, I know what you are thinking but now get your track to the kitchen!! The wonderful strong flavor of Garlic and Mint will just amaze you. Obviously the hero is the sauce but you have ensure chicken is cooked perfectly too. 1 Chicken breast cut into medium size pieces. Walnuts. You may use Cashew nut as well if you don't have walnut. You must be wondering what in the world is Toum, especially if you are not familiar with Lebanese cuisine. Toum in Lebanon means Garlic. Toum or garlic sauce which is served in Lebanese restaraunts with Kebabs. But it is also used as a marinade to cook along with chicken or fish because it is actually more of a paste than a sauce. This Toum goes very well with anything barbecue or roast. But I have tried it in a different way to come up with a finger licking snack which gets ready in not more than 20 minutes, including preperation. Yes, you read it right! Since, they day I started eating Shwarmas and Hummus and Falafels and Pita Breads, I have been so in love with Lebanese cuisine. So, when I was looking at making something unique and new using classic Lebanese method, I came across this and gave my own twist to it. The chicken came out really tangy due to lemon and with oozing flavors of Garlic. Made in less oil so it was healthy too. Breakfast on weekends is something everyone always looks forward too. 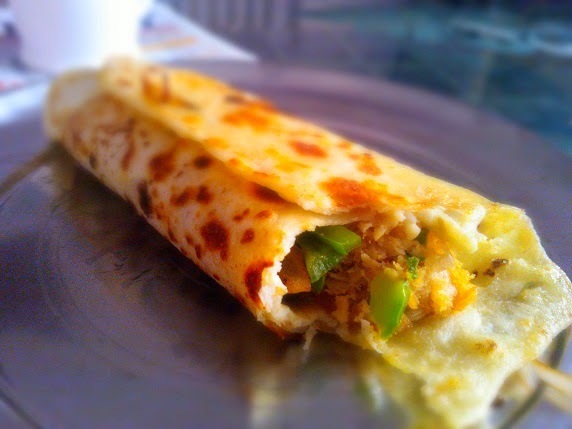 Though we are so much used to Paranthas or Omlettes, I love to expreriment and bring the oh-so-good chicken in my breakfast. That is why I tried these Scotch Eggs. I have done experiments earlier as well like I did this Shakshuka which is an amazing Moroccon breakfast. But these Scotch Eggs are as English as they can get. A very typical English dish, Scotch Eggs are known to be invented in london in 1738 but then it is also very similar to Mughal dish Nargisi Koftas. In UK, packaged Scotch Eggs are easily available at departmental stores. In Netherland, they are also called "little bird's nest". Lets get to the recipe straightaway. Today I am going to share an idea that will not only please your kids but also everyone else fond of kebabs, and It is my version of Chicken Lollipop. So, it so happened that my kids were being stubborn on the fact that they wanted to have lollipop. They are my sons who are twins and when they want something, they want it. Period. And I had just got chicken mince or keema and was wondering what to do with it. And then suddenly this idea kicked into my head. What if I could just given them chicken kebabs or little patties on wooden skewers. And Bingo, I got on with it and they had their Lollipop. They were so amused and happy that they finally got their lollipop. I found it great way to give this snack for kiddos and yet not feel bad about that they are eating junk. As a parent, it is very satisfying and also a great snack in your parties. It is almost like the Chicken Seekh Kebabs recipe that is there on my blog, but slightly different. I did not put any chillies in there because it was for kids. Here is how you can make it. Ever wondered how many times you end up serving same kinda snacks to your guests? Well, I realized that actually few days ago when this thought was going in my mind. And suddenly this idea popped into my head to do something with the tarts as my sisters gifted me little Tart moulds I wanted. Initially you won't believe that I was thinking of doing Strawberry Tart as I really want to try desserts as well just like my wife does. But then, I realized we did not get strawberries in anywhere locally. 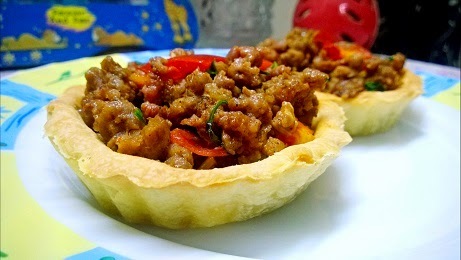 But the moment I saw Keema in the meat shop while buying mutton for my Rogan Josh recipe which I posted earlier, it rang a bell and I decided to this Keema in Tart, make a new snack. I have actually done a similar thing on Holi, served Dahi Bhalla in a new way. Check this Dahi Bhalla Katori as well. So, here is what I actually came out with. I have used Keema, you may use anything, just run your imagination. Let me take you through the recipe now. Chilled water. Keep water in a bowl with ice cubes in it. Keema as required. If some keema is leftover, you can eat with chapati or something as well. Finely chopped Green Chillies as per preference. Degi Mirch or Kashmiri Red Chilli Powder. Add butter in small pieces so that mixing is easy. Now mix butter and flour nicely with hand till it starts coming together. Add one tablespoon of chilled water at a time to ensure it gets together. If it is too dry, dough will not come together. Also, you do not want dough to be too sticky, it needs to be dry tight dough. Once the dough is tight and done, wrap it up in a cling film, just flatten it out and keep in fridge for 30 minutes. Roll the dough thin on flat surface. Rolled big enough to fit into Tart Mould that you have. To mould, press it against the mould from inside so that there is not gap in between. Take out extra dough from edges. Prick at the bottom with a fork to ensure that tart doesn't puff. Bake it at 220 degree Celsius for about 20 minutes. It may vary depending upon oven you are using. Do check in between. Once done, let it cool down, take out from the mould and Tarts are ready. They should be crisp. Well, Navratri is over and I celebrated it with inviting my sisters and their kids over and made one of my favorite chicken recipes. Kids prefer something snacky or gravy-less because somehow it appeals more to them and well to me as well. So, I decided to make Chicken Chargha, a typical Pakistani dish which is so wonderful that I have cooked it so many times at home. Apart from the process, I have also done some variation in spices that I have used but I have kept very similar in taste which is mild and not too spicy. But, having said that, you can make it spicy if you wish to. But what really excites in this dish is the juicy and succulent meat inside and crispy outer layer. It is just too good. Also, it involves deep frying, so I really won't say that it is healthy!! Whole Chicken about 1 KG. 1 table spoons Degi or Kashmiri Red chilli powder. 1 table spoon coriander powder. 1 tea spoon cinnamon powder. Chicken Recipes using Chicken Breast. I have always found Chicken breast to be one of the easiest cuts to work with. It is so dynamic and versatile in nature that you can do wonders. All you need is your imagination and you can win hearts with the results using your improvisation and innovation. It cooks fast, easy to manage while eating, it's everyone's favorite. My wife actually loves continental and I love non-veg. So, whenever I want to cook for my wife, first thing comes to my mind is how can I do something new with chicken breast. But today, I will make it easier for you by sharing my best 5 recipes which I have done using chicken breast. You will see how different they are but basics are almost same. Some are stuffed, some are pan fried, some are baked in oven. Check more Non-veg recipes here. Lets start with the Fab Five. Piri Piri chicken is a portugese dish which is cooked using Piri Piri spice mix. Yes, it is same as Nando's Piri Piri Chicken and after reading this recipe you will know how easy it for you to have Nando's in your own home. Spicy and colorful, it will knock your socks off. Get the recipe here. I created this recipe on the go that means I did not have any recipe in my mind when I started cooking this amazingly sinful dish. It also involves a bit of technique like 'Butterfyling the chicken' and is a Must Do for me after every few days. Get the recipe here. Chicken breast is a really versatile cut of chicken. Not only it cooks fast, you can do so much with it that the options are unlimited. All you need is something with it to elevate it. Chicken is anyway rich in protein and also less in fat since it is white meat. I had picked up 3 chicken breasts to make Bacon Wrapped Chicken Breast. But i could use only two and had one extra. Also, my wife said she wanted to eat something continental and my mind worked up quickly to fulfill her command. So, I came up with succulent Chicken Breast with white creamy and delicious mushroom sauce which is the actual hero. You can try this another Creamy Sauce as well which is another similar sauce but with more ingredients. I love this kind of food because it is not so complex and does not take much time to cook. You will also see how easy it is. Half cup milk which is about 50 ml. Mushroom. I used 2 medium sized buttons and chopped them fine but not too fine. It is every morning fare at our place, especially in winters. Me and my twin sons eat boiled eggs sans the yolk. They way they don't like the yolk reminds me of my childhood and how even I used to hate the yolk in boiled eggs. Well, it is a good thing as by not eating yolk we are avoiding FAT. But then all white becomes bland. Deviled Eggs is something that came to my mind and I have seen to so many variations of Deviled Eggs. I actually did not want to create the same thing but wanted to see if I can do something new and make it healthy as well. So here it is, Deviled Eggs with Hummus 3 Ways. I had made Hummus a day prior and had some leftover. So, That is how I got the idea of this. See, how leftovers can be easily used in a fantastic way. You may also want to try Egg In A Hole. Deviled Eggs can be traced back to ancient Rome. Traditionally, they are served cold. Hard boiled eggs are cut into half lengthwise. Yolk is removed and then crumbled and mixed with mayonnaise and mustard or other ingredients and then stuffed back. But as the name I gave, my Deviled Eggs are healthy and a fusion of European and Lebanese fare. I stuffed them with Hummus in 3 different variations. Not only it makes the the eggs to colorful but also variety of flavor adds the interest and it is super healthy. Lets see how the recipe goes. Hummus. Find the recipe here. Now we are using Hummus which already has a lot of flavor so we will not be adding additional salt or any other spice. If you feel the Hummus that you have made has less salt, just sprinkle some salt on top or add more salt in Hummus as with the boiled eggs it might taste bland. Make it as per your taste. Tawa Fish Fry is one of the few fish recipes that I just love and as a snack. It simply rocks. Kids love it, I love it, everyone loves it at home. And the gorgeous thing is ready in 10 minutes. Once again this goes to prove how most amazing dishes can be simplest and quickest to make. Check these easy recipes like Pan Fried Fish with Pesto Sauce, Butter Garlic Prawns, Bread Pitt. Drizzle some lemon and eat with onions, oh la la!! The melt in your mouth fish does the magic! I remember my father making this very often but then in between I lost touch with the fish after he passed away. But then my wife rekindled my love with this fish fry and I am so happy about it. Rohu (Carpo) fish cut into slices like you see in picture. You can use any fish actually. Rohu is light on pocket and has a wonderful taste as well.